Spacious playgrounds and fields adjacent to the main orphanage buildings. Victorian terraced housing on Ebury and Shaftesbury roads built between the railway tracks of the LMSR main line and the branch line to Rickmansworth. 1862 LMSR branch line to Rickmansworth, via Watford High Street Station. Colne Bridge over the river and tall embankments carrying the main line (LMSR) across the flood plain. London Midland & Scottish Railway line to capital (Euston station). London Orphan Asylum built on a gravel terrace above the flood plain of the River Colne. Goods Yard and Shed at Watford Junction Station. These buildings have been preserved into the present under Grade II Listed status and are thus deemed worthy of inclusion in the group featuring the growth and development of Watford. It's also worth noting that the former Orphanage was featured on the popular postcards of the late Victorian and Edwardian periods. The London Orphan Asylum was opened in 1871 at a cost of £63,000, two years after the foundation stone had been laid by the Prince & Princess of Wales. Following an outbreak of typhoid fever in East London, the children were moved to a healthier and cleaner environment from their existing premises in Clapton. 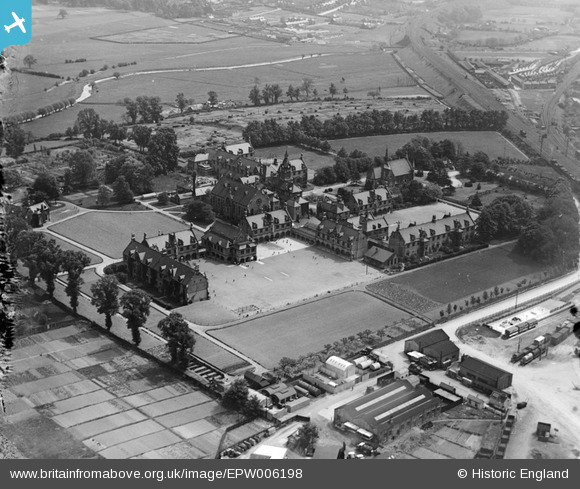 At the outset, there were 450 young people in residence by 1872 and this increased gradually to 500 according to the "Watford Observer" in 1906, when it as announced that more voluntary funds would be required to sustain the high standards of the institution. The paper went on to record that upwards of 9,300 children had benefited from the charitable organisation. 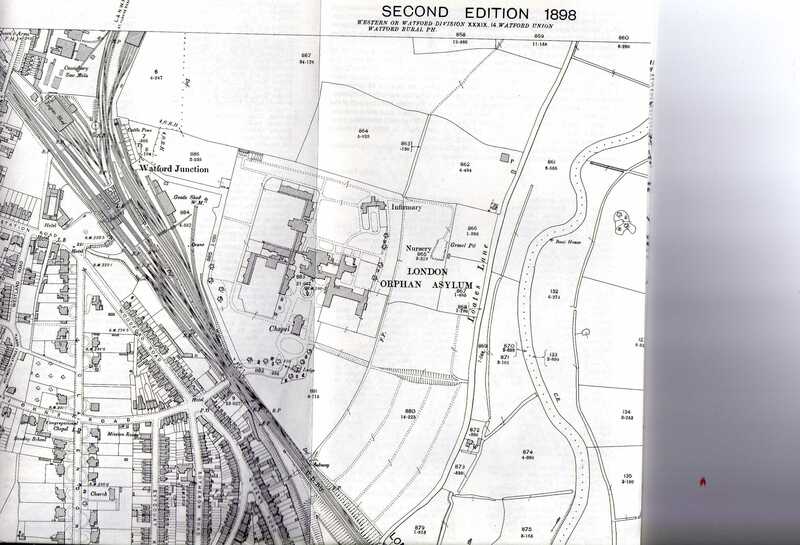 Contemporary maps indicate that the term "Asylum" was replaced by "School" after 1930, and this paved the way for the renaming of the institution to Reed's School in 1939. When war broke out in September '39, the boys were evacuated to Totnes (Devon) and the girls went to Towcester near Northampton. The extensive premises were occupied as a military hospital throughout the remainder of the war. 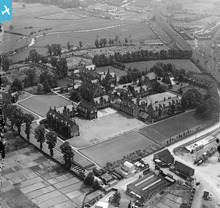 The now-famous and highly-respected Reed's School moved to its present location (Cobham, Surrey)in 1946. The next phase of the former Orphanage near Watford Junction involved the requisition of the buildings for use by the Government as offices for the Ministry of Works (Pensions and National Insurance) until the 1980s. The surrounding area was little changed, with the retention of the open space, gardens and allotments. In January 1983, the fine, neo-Gothic Government buildings achieved Listed II status. By the late 1990s, the area had become a mixture of industrial units, residential apartments and office blocks, and the best of the original buildings have been tastefully converted into homes. Two of the residential streets, Orphanage Road and Reed's Crescent, carry reminders of the former land uses and the adjoining cul-de-sacs are named after British universities.